A school in Kent is an Access Point, which means that pupils and staff in the school can log on to the public libraries using the online Kent catalogue and can request books which are then dropped off at the school. They can then return their books using the same method. 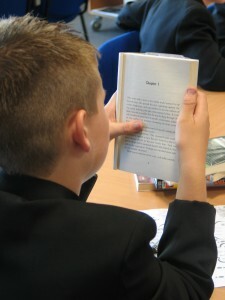 This means that these pupils have access to a wider group of resources than is available to them in their school library, and staff can borrow specialist books as well. The school Access Point means that the library is also open to members of the public to drop in (when signed in at Reception) to use the computers. The school is also open during the holidays for members of the public, and is starting to host Baby Rhyme Times and other public services during the holidays.